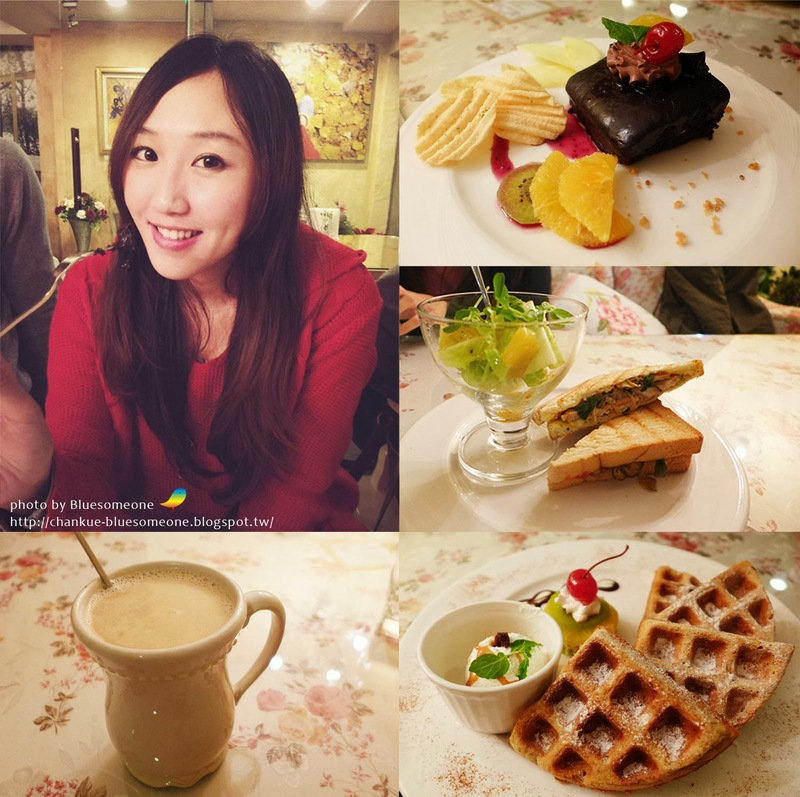 An afternoon tea at Sophie’s Garden with my sister who skip her work :P.
It’s all worthy for the delicacies. 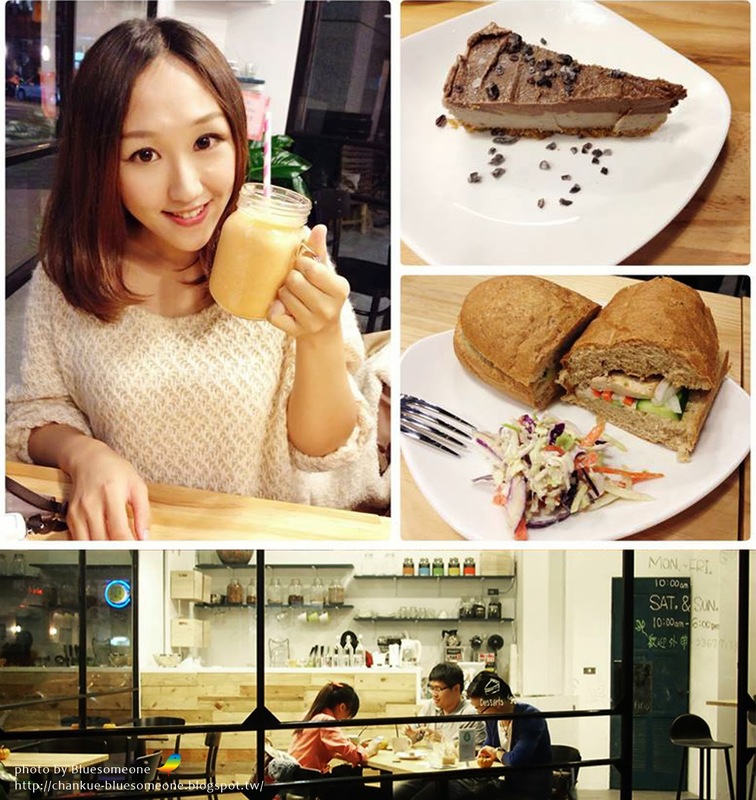 The vegan sandwich, vegan waffle and garden soy-milk tea are fabulous! However, it's a pity that they cut off the afternoon tea supply because short of hands. Please call them to ask for the afternoon tea in advance. I strongly recommend these meals to whomever visit Sophie’s Garden. The snacks and meals in Loving hut X Soul.R.Cafe have a cute decoration on them. The restaurant had a redecoration at the end of last year. The menu was changed, too. I’ll share the change after I got the chance to visit. 戀巧克手工黑巧克力專賣店 is near the MRT Fuzhong Station in Banqiao district. The products are almost all vegan and no alcohol ingredient except the tiramisu which contains milk in the bottom cookies. Hopes one day they could make it vegan. 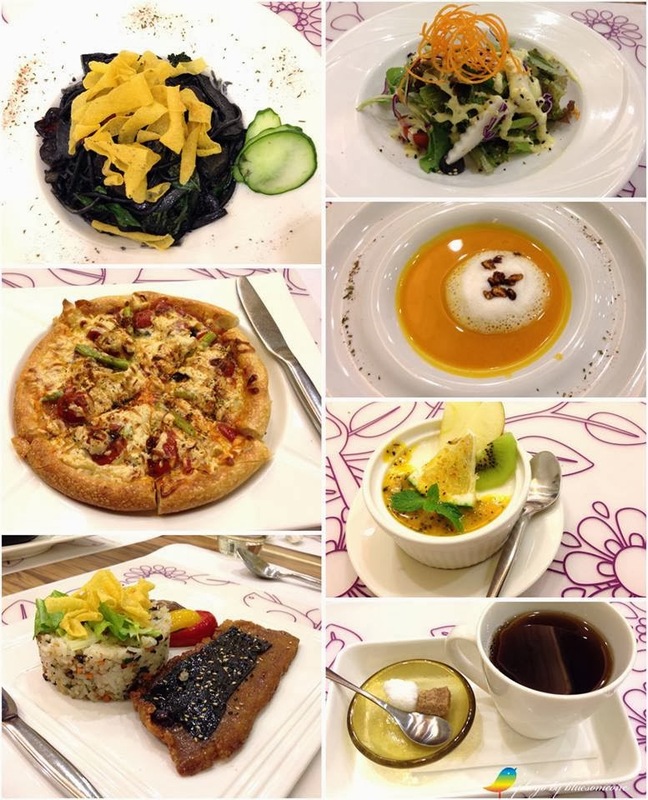 I visited Pizza dall' orto in Taichung at the vacation of Chinese New Year. How amazing! 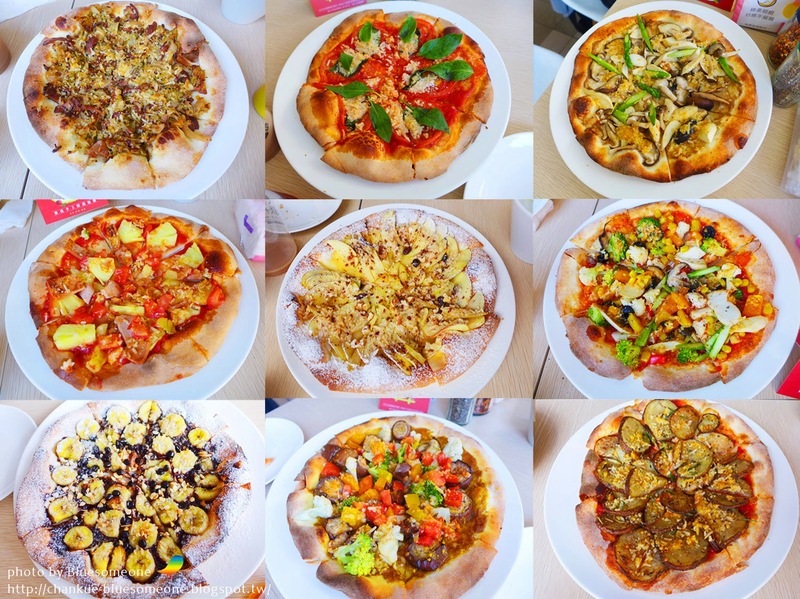 Each flavor of pizza could change to be vegan (if you don’t ask, it will has cheese on it). The special thing about this restaurant is they putting in time and effort on their sauce. Taste delicious even without cheese. All I can say is a heart touched deliciousness!! My sister and I had a trip to Wakayama in the early March. The girl-only trip is a different experience for us and it wasreally relaxed. Even some place is boring, we could still laugh crazily. Wakayama is not popular as Osaka or Kyoto. You can count the vegan restaurants there in one hand, but the foods are much delicious than what I expected. I heard good news after I went back to Taiwan! The VEGE CREEK (蔬河) was not friendly for strict vegans because some foods containing milk ingredient and they are all cooked in the same pot. As soon as the owner realized this problem, he changed all foods there to be vegan, including veg meat. So how could I miss this one? Although some friends think their price isn’t low, in my opinion, it’s reasonable for its location, flavor and the decoration. In addition, the owner is pretty handsome (←Heh!). Recommend you to try, especially the business launch is very worthy! 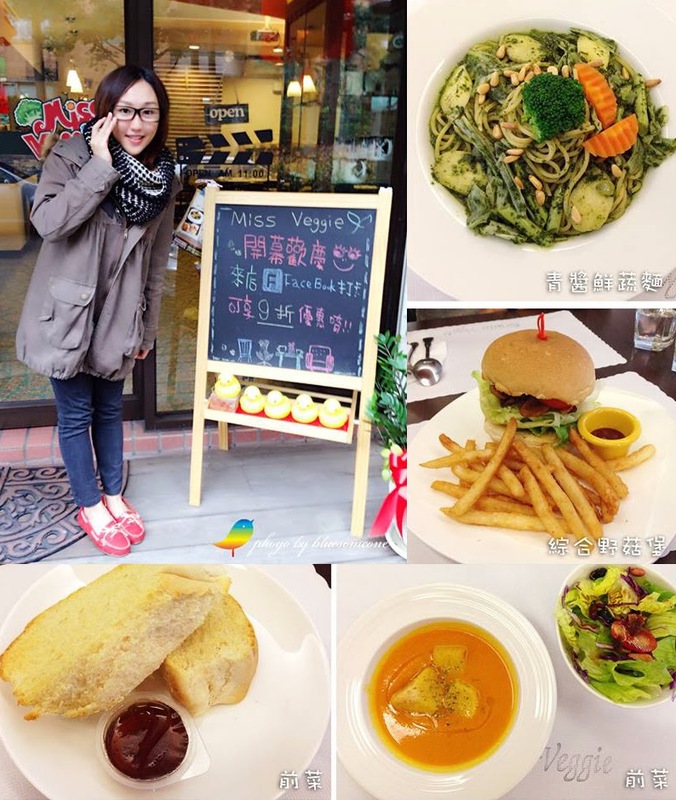 I couldn't help to go to the one of vegan land in Taiwan-Taichung again for the delicacies. 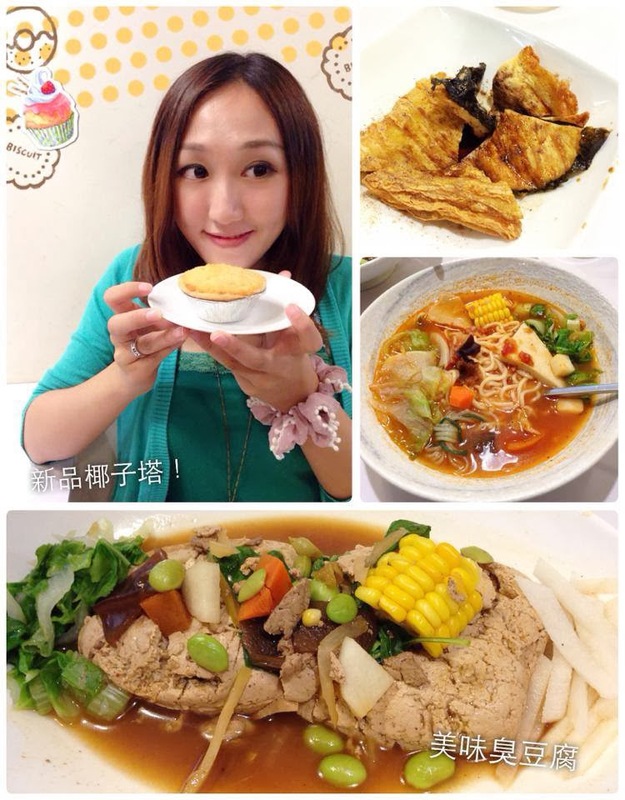 There has a famous veg-raman restaurant- FU-SHI-WU(釜喜屋). I was wondering how special is the soup flavor. However, after I tried, it was sooooo gooooood!! How would I survived if I can’t have it someday after~~~! All foods there are vegan! So cool isn’t it? The veg meat and veg meat balls are handmade. You can also choose the soup without garlic or onion, which is continent for Taiwan vegetarians and both kinds are delicious. After the incredible ramen launch, my friend took us to the Thai style restaurant (I think it’s Thai flavor with a little Taiwan style): Caruna (卡如那泰式素食). 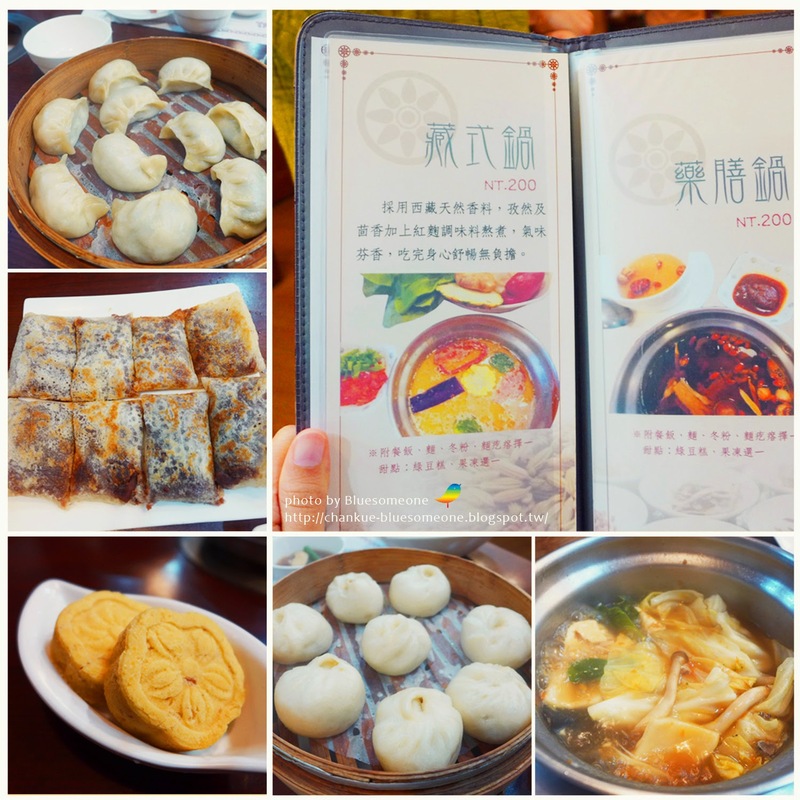 Joy Kitchen(喜悅健康廚房) is a hot pot restaurant in uptown of Keelung. The name didn't interest me but it does have its specialty. Probably relative to where the owner came from – Guizhou, China, the soup of the hot pot is made from sugar canes and apples. Taste a little sweet and really good. There are five options for the soup, the Tibet flavor won my heart and which is also the popular pot in the restaurant. The snacks are vegan but the veg meat for hot pot is not confirmed if it has milk ingredient. I have to make a compliment to their snacks. The red bean pancake, Chinese toona roll, green bean cake, steamed dumplings, Xiaolongbao...are all made by hands and really fascinate! 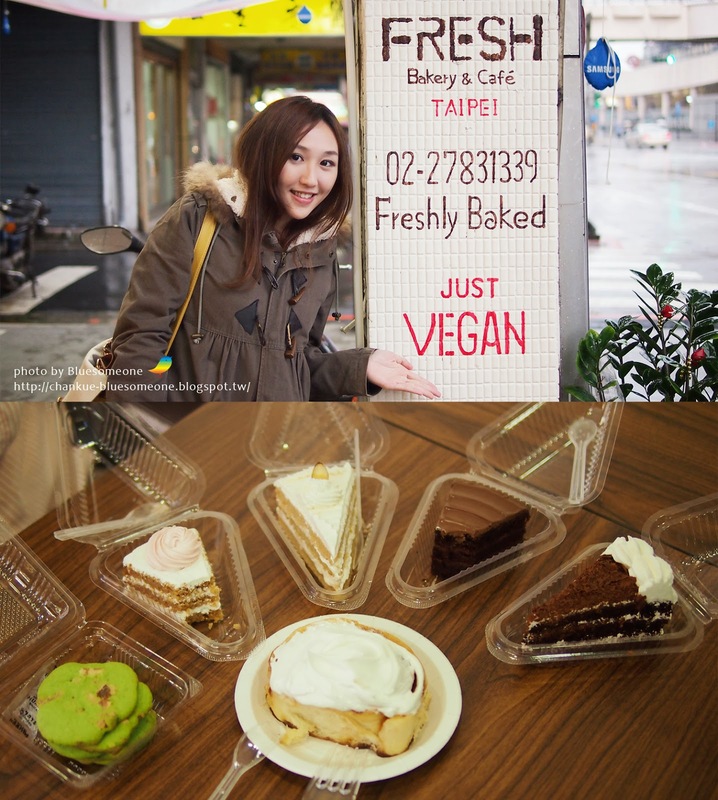 See~Vegan dessert bakery! For enjoying the vegan afternoon tea, I tempted my BFFs again to play hooky from work. This restaurant has opened since the beginning of 2013, but only until April did I get the chance to taste it. Although the atmosphere there I thought it’s not that perfect, but whatever dessert, bread, any kind of meal is incredible! 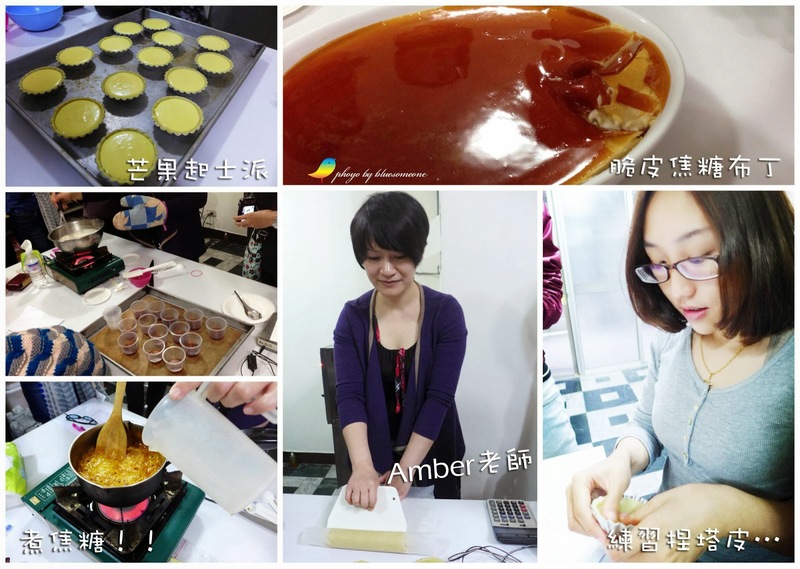 April I started my vegan baking courses also in Ms. Hu’s Angel vegan bakery, who has many years of vegan baking (She is also a baker from milk-veg to vegan)! I took the courses for several times , the course contents are quite piratical, and the teacher answered almost any questions you asked. 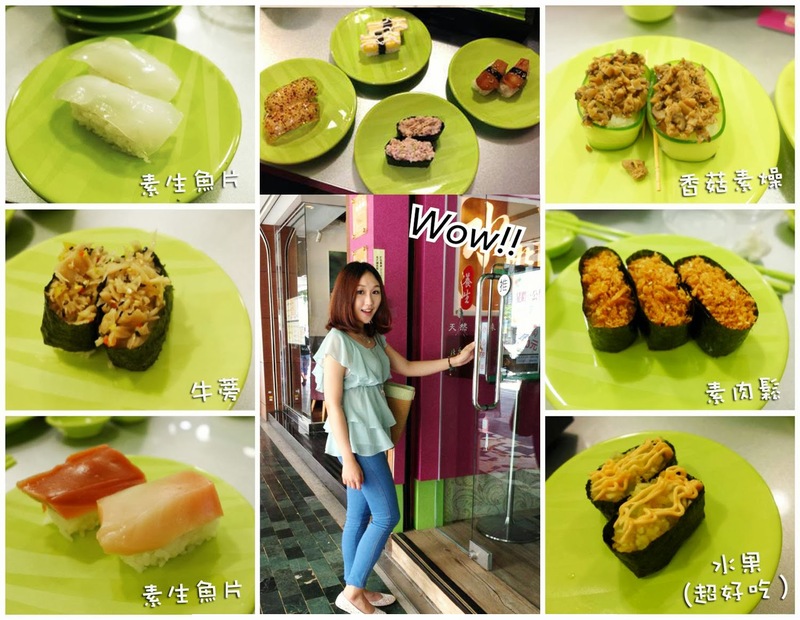 Here in Taipei opened a novel restaurant in May : Shuiwen Veggie Sushi(水問蔬食迴轉壽司). It's a veggie Sushi train restaurant! The owner imported rice cooker and sushi machine from Japan to keep the quality. The sushi rice is special also, quite sweet-scented and flexible. The ratio of vinegar and rice is studied also, coming a nice taste. What’s the best? The sushi here more than 80% is whole vegan! They distinguished vegan, milk veg, and egg veg by the color of the plate, very clear. If someone asked to recommend the place in Japan for first visiting, for sure Kyoto is the answer, where many veggie restaurants, many viewpoints, and the bus transportation is convenient – wonderful place! 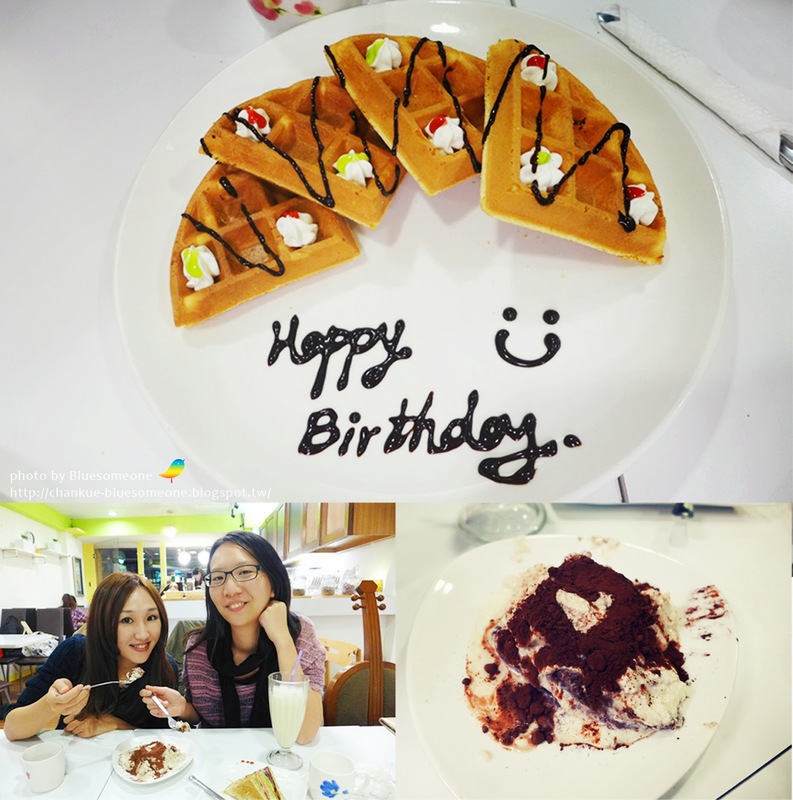 The joy shared is more than enjoying alone, so I invited mother-in-law and the aunt who always give me care go together, and had an awesome time. Mentioned my mother-in-law, Mr. Shih complained all the time that she spoiled me a lot. Well, how a bad boy can compare to the well-behaved daughter-in-law? The top news of veggie group in June must be that One royal veggie dim sum restaurant set up here in Taipei, YANGSHIN Veggie Dim Sum House. Before its grand opening day, many friends had made appointments to go together. Count me in! To my personal opinion that the veggie HongKong dessert is nothing but awesome! Even though the vegan ones are less than half, but every dish surprised me for its deliciousness, and the price was OK also. However, the formal dishes were not that suitable for my taste, and the price got a little high, NT 250~ 350 as average. 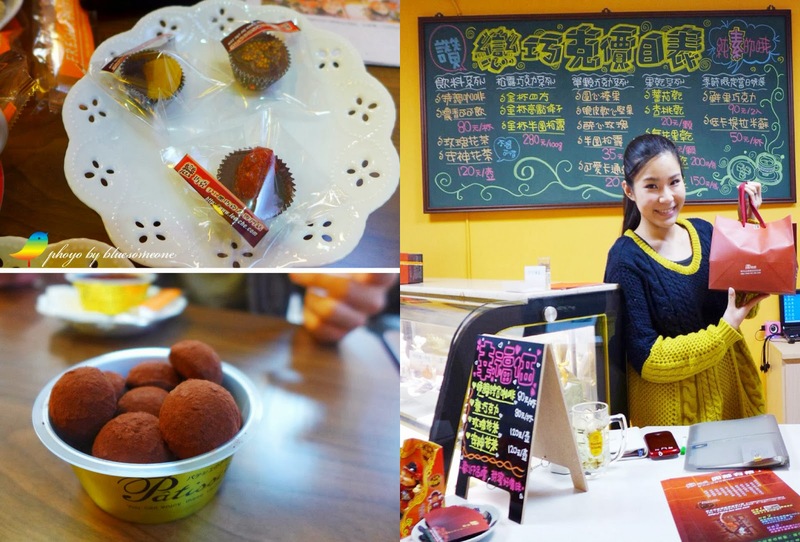 Got a chance to go Yilan and visited the Loving Hut Xinyue. 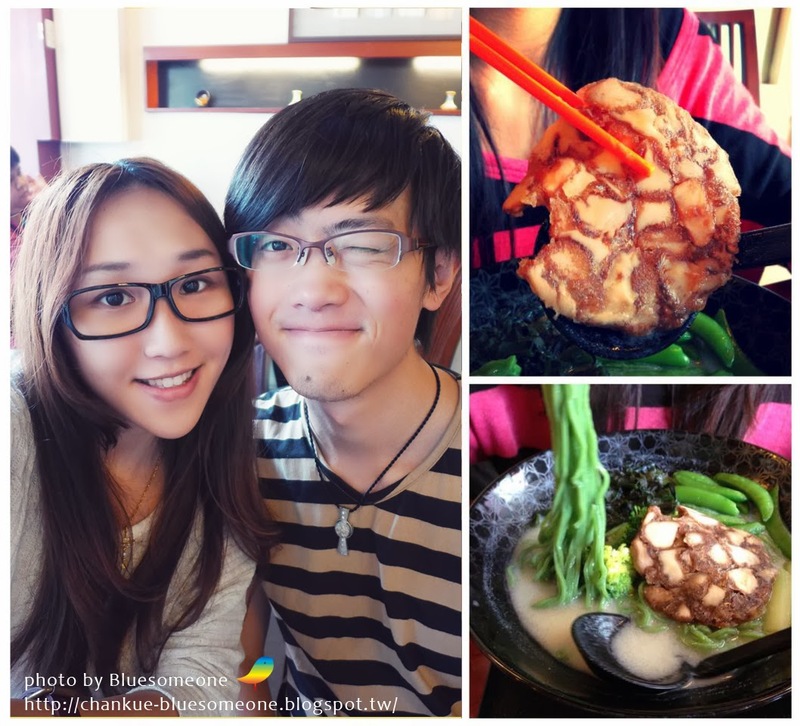 I almost visit them every time I went Yilan and almost order the same dishes. I think it’s the best Chinese style restaurant in Taiwan loving huts. Strongly recommended the pineapple shrimp balls &exploding rolls with souse! 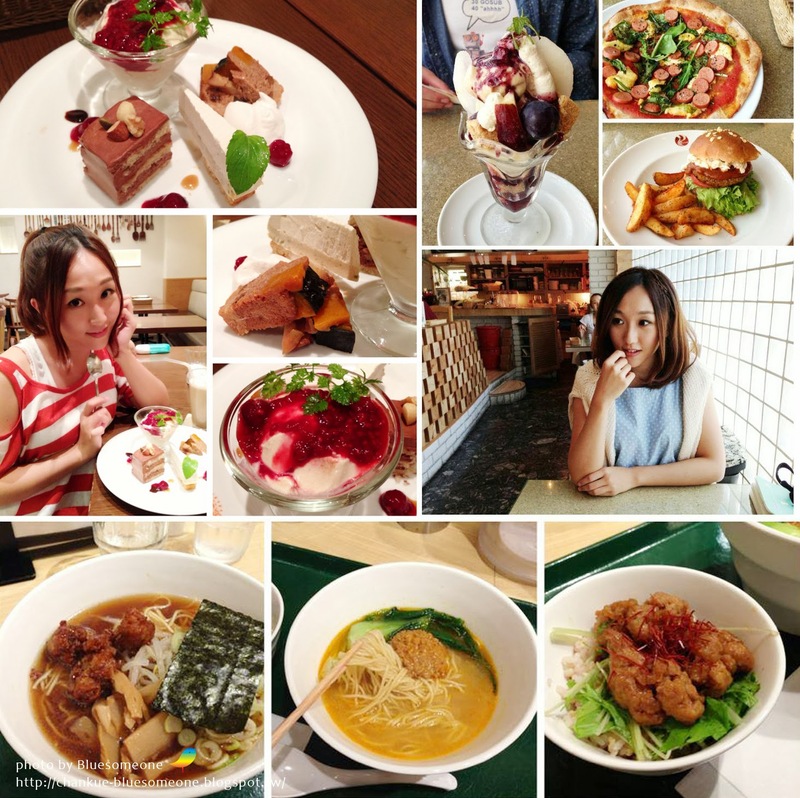 July and August is the time of summer vacation, hot and crowded everywhere.Usually during these two months I keep staying home rather than out, so the times for having meals in restaurants are less. The only one that worthy to mention is the Rome Tomato Pasta(Vegan, milk-veg). Their spaghetti is somehow Taiwan style but taste great! 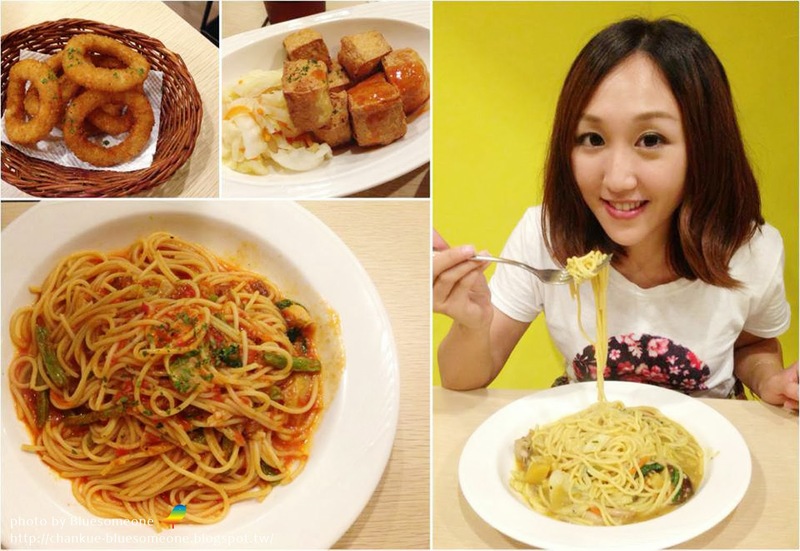 The owner combine special vegetables in Taiwan with pasta sauce into a distinct flavor. I like the creative very much. And the price is super low, lowest price there is just 99 NT dollars. Vegan dishes there are more than half and one can demand no 5-species if needed. People seems go to Chengshi Dongxin more often, but I think Shishangxintianmu(Jingcheng Rd. )is not bad also, with more vegan choices. In Taichung people’s mind maybe the price is not that cheap, but it’s cost-effective for north people. Maybe due to the location, Miracle Green House is not well-known to the public, but actually it’s a wonderful vegan restaurant! The environment is In a courtly manner with delicious and stylish meal. At first glance the price is a little high, but I think the quality is good enough for that. The delicacy is exquisite and tasty with nice service persons, where it’s one of my top choice in north for dining together. by the way, the pictures in the left side is the new dishes of Miracle Sreen House these days. Squid noodle(Vegan): taste slightly, but with intense aroma. Although I like the pasta with heavy taste more,Squid noodle is not bad also. Mushroom pizza(5-spicy):Taste good! The vegan cheese seems to be invented by the restaurant themselves, tasting a little sweet with sauce, special! I like it very much~ One for 6-inches, must reserve if you want it. Eel rice(Vegan):Which outmatched totally the one in Loving Hut Tokyo, awesome! The vegetable fried rice in the same plate is with high quality also. Yummy!! But I think the quantity of any dish is a little few. 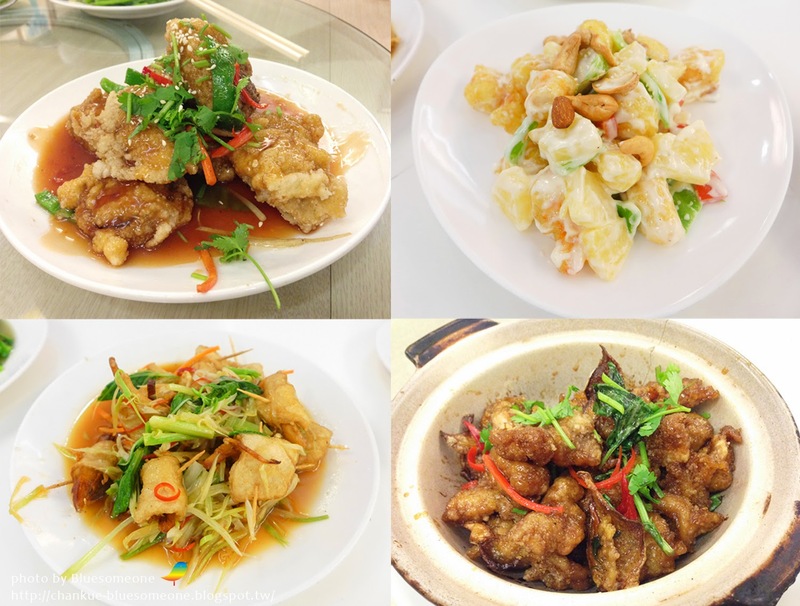 Like us with six persons, every dish for one is just two or three bite, and the average price for each one is near NT:3~400, 80% full after finishing, a little expensive for its portion. In the end of September, for catching the tail of summer vacation, father suggested a family trip with my guiding without thinking twice, we whole Bluesomeone family with 6 persons went to Tokyo together. If you ask me, in fact I like Kansai more. 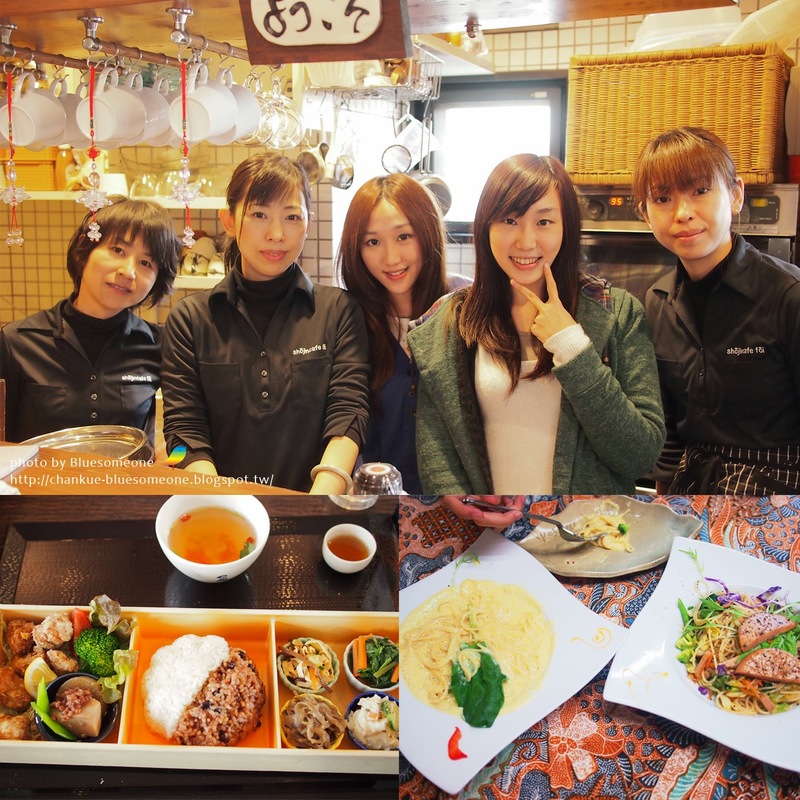 I don’t know if this time I’m not that lucky, my delicacy trip in Tokyo didn't fix the anticipation completely, somehow there are still a few nice restaurants could be shared~ but…My Tokyo series was just began and on the way, please have a look of the article below first! In the End of October is Mr. Shih’ s birthday, in the same time our wedding anniversary also (I feel stupid myself, why did I choose this time for wedding? Then every year I need two send him two presents but he sends me only one! 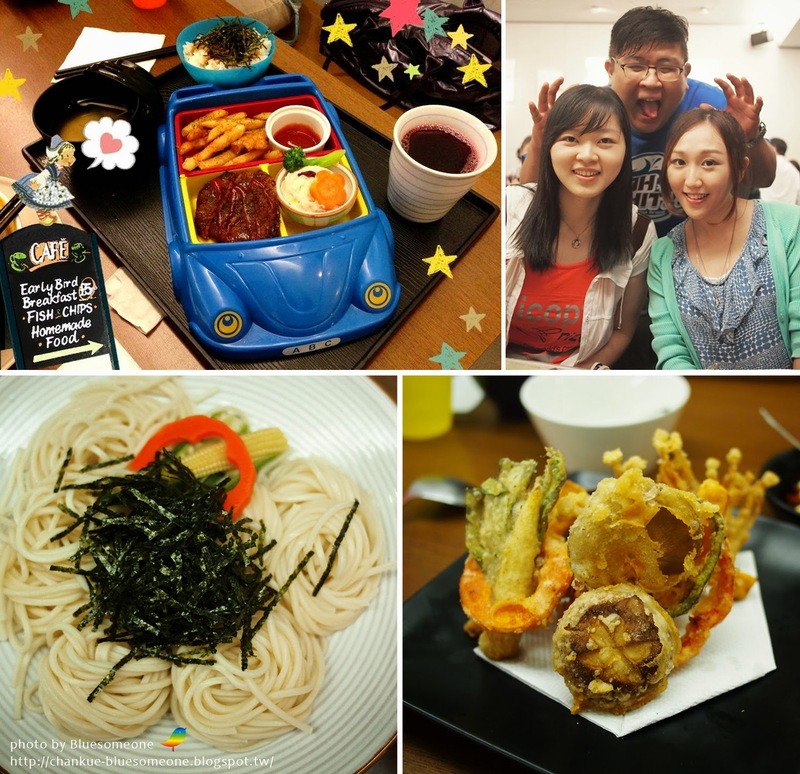 ), we celebrated it in The V:F.
The way the food put on dishes is delightful, but the taste is insipid. However the quality of food is nice and taste comfortable. Although the vegan meal is not that much, it’s a enjoyable restaurant. 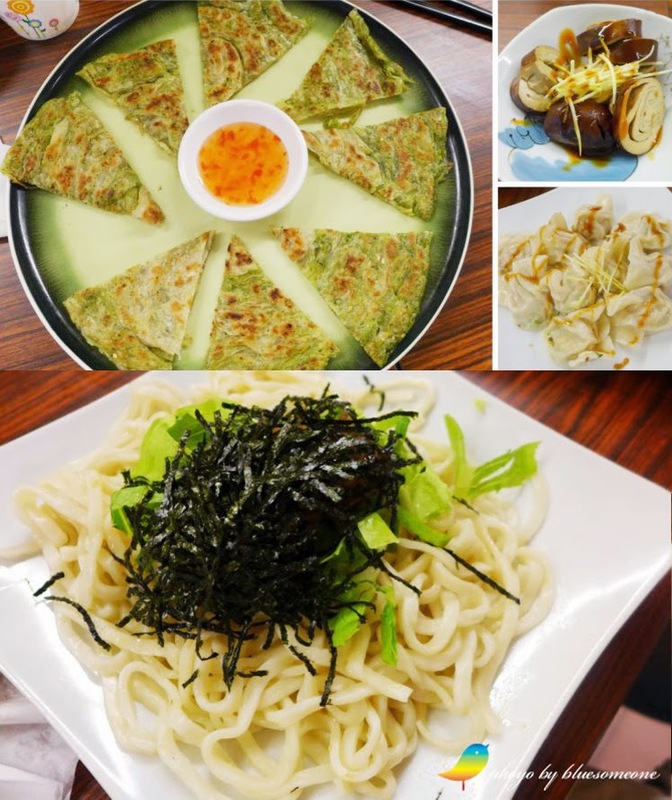 Comparing the two former, Brothersu in Zhonghe offers a much cheaper price~~Although the meal looks like home-made ones, tastes awesome! 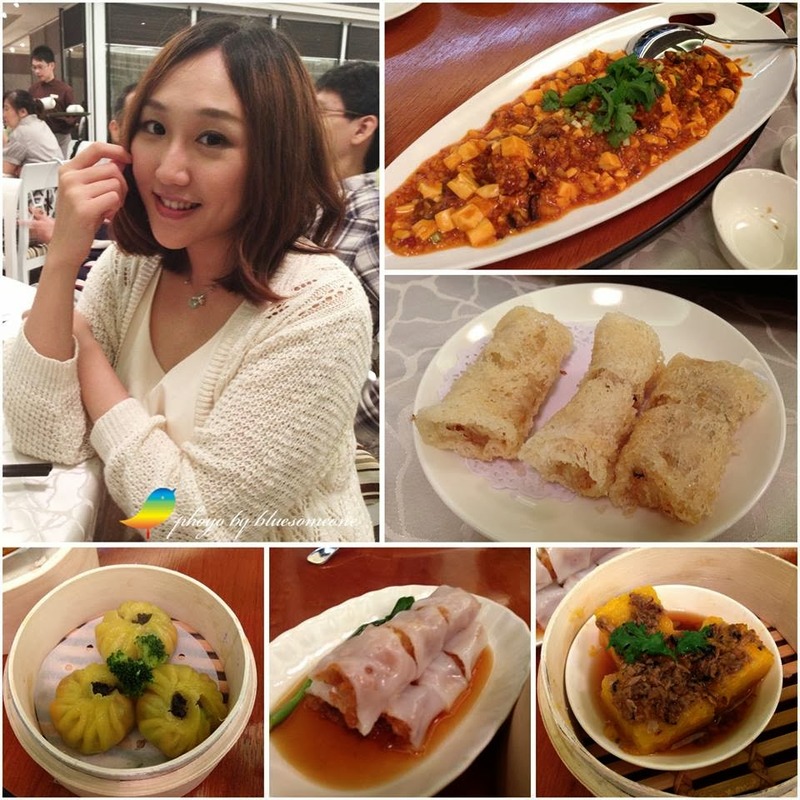 The owner always used the organic vegetables and fruits with high quality, no mono-sodium glutamate at all! To avoid the ready-made materials are not that pure, they make many meal materials themselves, really diligent and caring. I’m loving in their dumplings, spicy tofu and all kinds of noodles with wonderful soup-stock! The portion is enough also, a man just need one bowl of noodles can get full, the CP value is quite high (CP value: the price VS the quality, the higher the better) ! The vegan dessert there is worthy trying also. Every time I go there, just two persons we can order until 200～300 NT dollars, where it’s really a fairy land for me. Though many people call me veggie expert, I think I’m far from that, because I had no idea that there’s a branch of Mini bean in Taipei until these months. Mini bean is famous for its original and organic soybean, The soybean ice-cream made by such healthy and organic soybean is yummy~~ smooth and slight plus nice soy smell, with many flavors also! But one should remind store that the cracks upon it to be vegan, or they usually put cracks with milk. 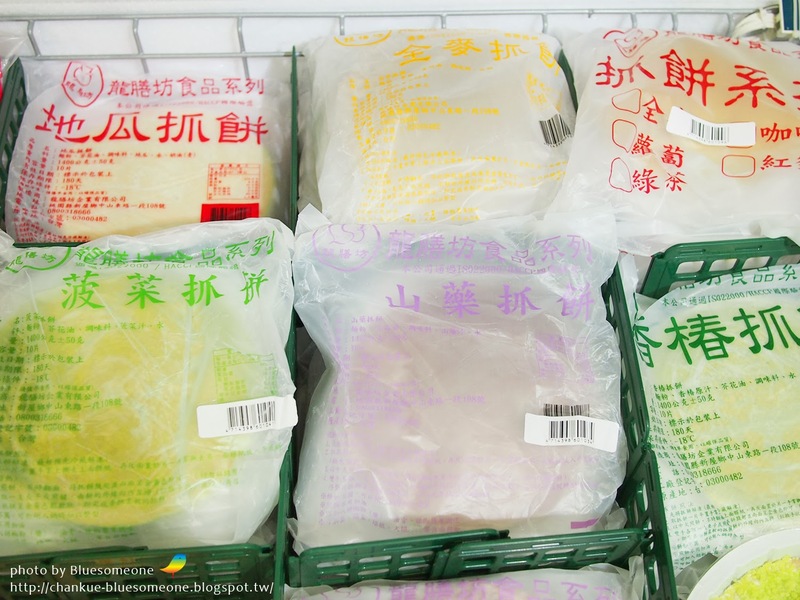 I recommend colorful soybean milk, also the price is not that friendly, but characteristic and taste nice. I like it very much! Nonetheless frankly speaking(again? ), it’s a little low CP value for vegan. Vegan just suggested to have their dessert and soybean milk. The owner considers well for vegan, one-third meals without milk and egg, even the buns, salad sauce, and strawberry sauce are confirmed to be vegan, and all kinds of bread are vegan. They even want to use the vegan cheese(but the provider seems to be have none). 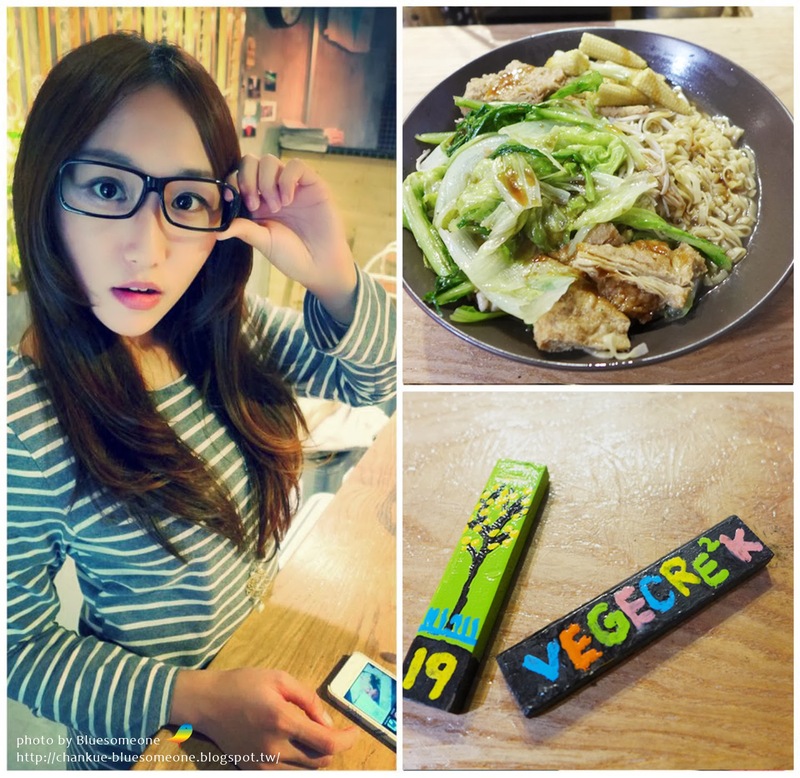 For a milk-egg-veggie restaurant, this one is the rare one that I’d like to come again. 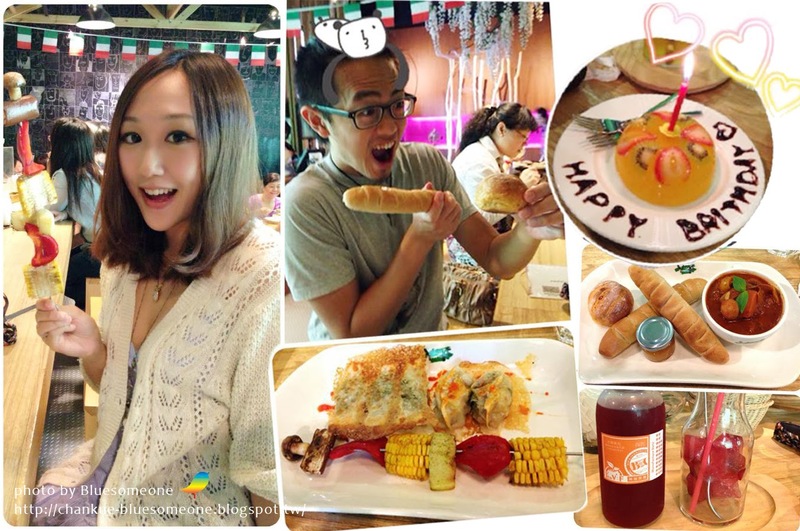 Ooh Cha Cha nature meal is a new restaurant located near Taipei Guting MRT station. All meals are vegan there, some with 5-spicy, their main road leading nature and healthy way. Their meal looks so so, but with first biting you feel the energy and delicious of vegetables and fruits. The sauce of bread is yummy, bread yummy, drinks yummy, and raw food desert also, even better than the one I had in the raw food restaurant in Osaka. Actually I think their best is not light food, but raw food desert and veg-fruit juice, just one taste you’ll understand. Authentically a special one, I definitely go again! In the end of 2013, the first vegan supermarket-IVegan started business!! 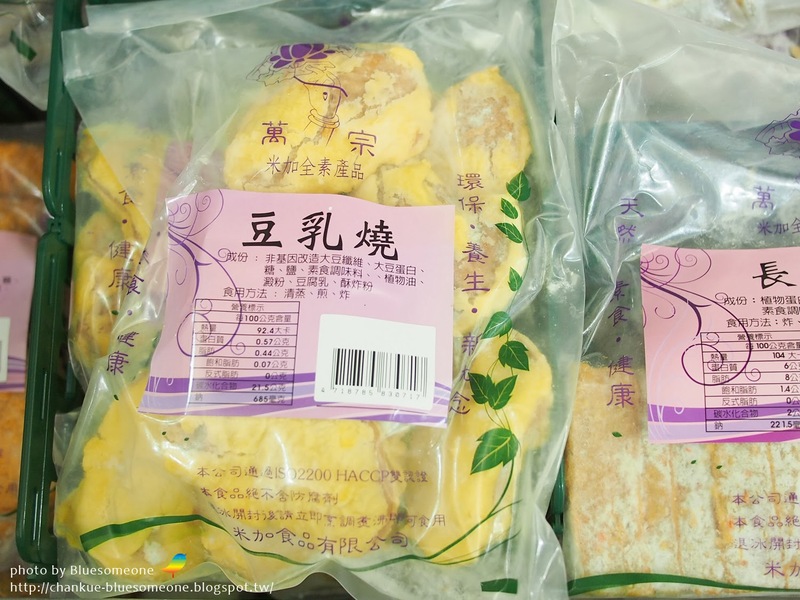 Basically the provisions are Taiwan-made. Although I anticipated to see a lot of imported vegan provisions, many cheap and delicious vegetables, fruits, and provisions can be bought at once is really exciting! 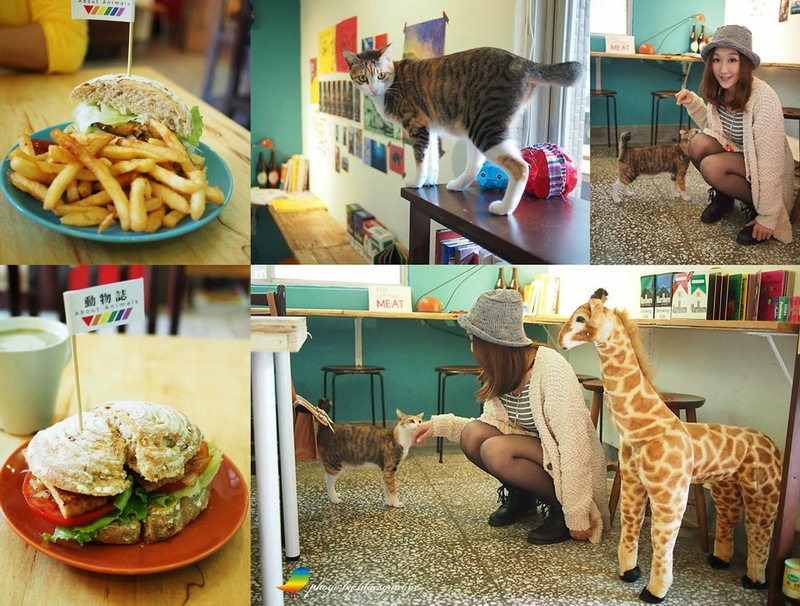 After IVegan, let’s go to the nearby About Animals for lunch! The decorations of this store is cool,with somehow the feelings of literature and art, and the cat of the store is so cute and friendly. Though the price got a little high, the hamburger is awesome(5-spicy can be eliminate if need), which aroused me the memory of travelling aboard, quite distinct of the other veggie store’s hamburger in Taiwan! 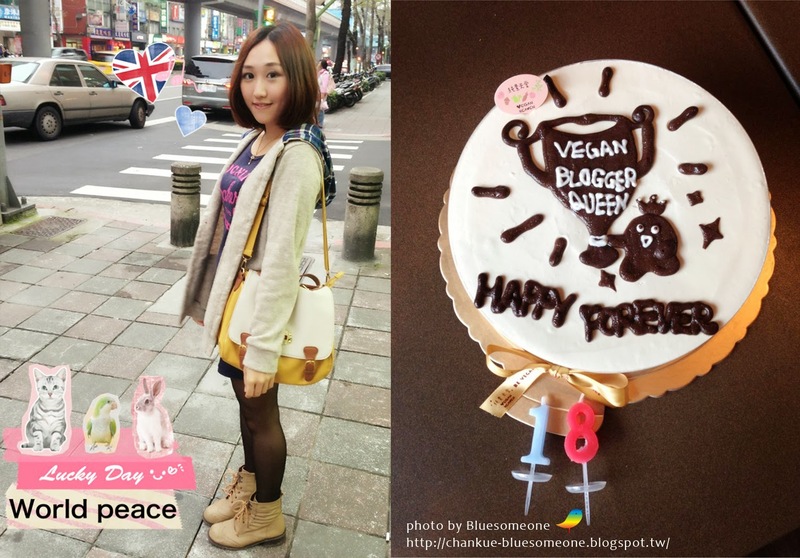 They have cooperation with Vegan Heaven, so one can have delicious cake and dessert there also. The last schedule of 2013 is my favorite Taichung again! I hesitated for a long time. Fu-Shi-Wu? Pizza dall' orto? At last setting my teeth decided to go another one which recommend a lot by friends in Taichung: Loving Hut-Hanko. Loving Hut-Hanko reconstructed two months ago by new runner, the menu changed and more appealing , and whole meal there vegan without 5-spicy! (Seems to be the only one Loving Hut without 5-spicy?) 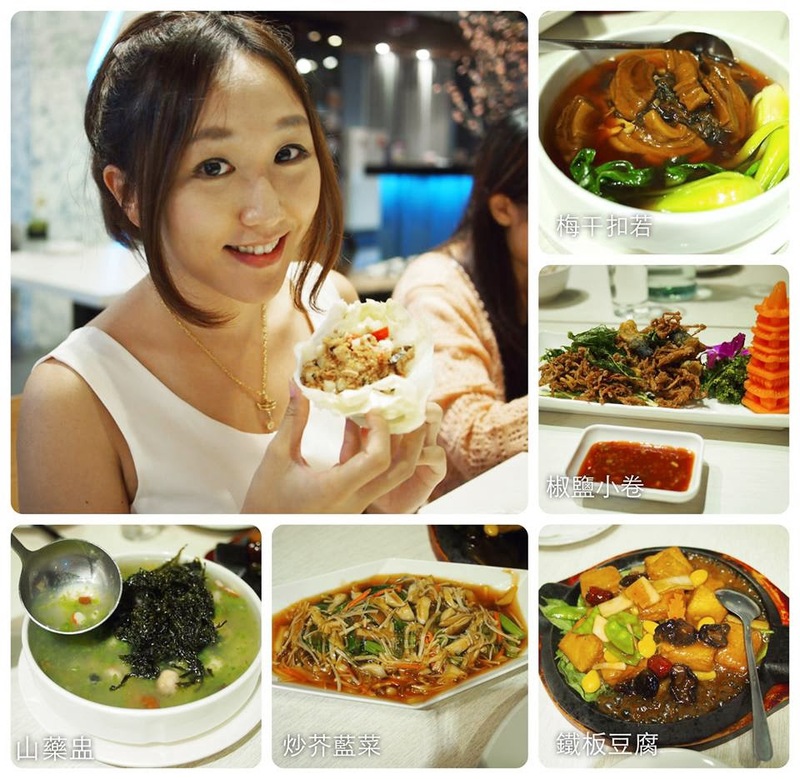 With pretty meal putting, particular food materials, friendly service and price, awesome and yummy meal, high high high CP value!! 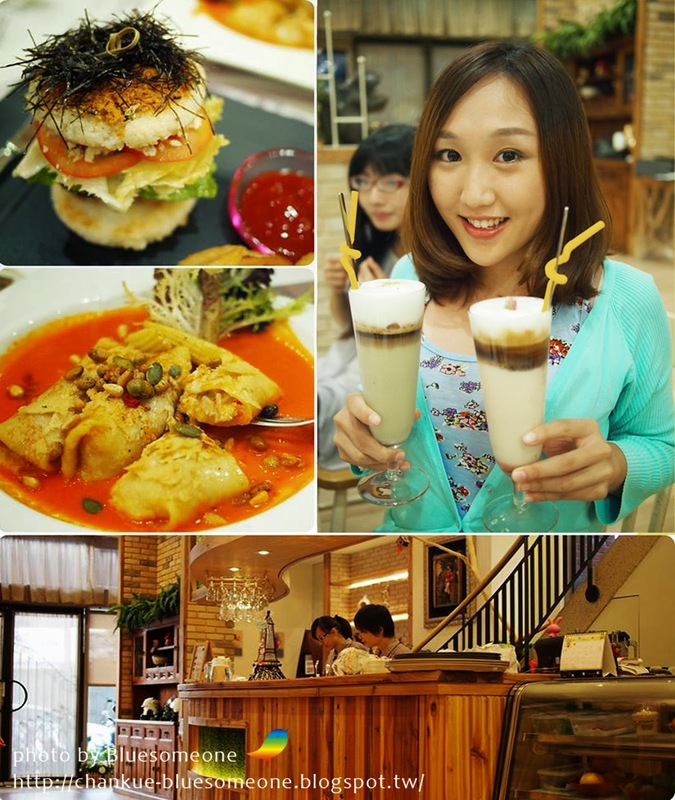 Only can say that, there is one more that I’d like to go again and again restaurant in Taichung! Ah~~ I have only one stomach, what a vexation! All as above, is my handpicked restaurants in 2013. Count it myself, I really go to a lot a lot of place to dine, and more only put out on fans club. 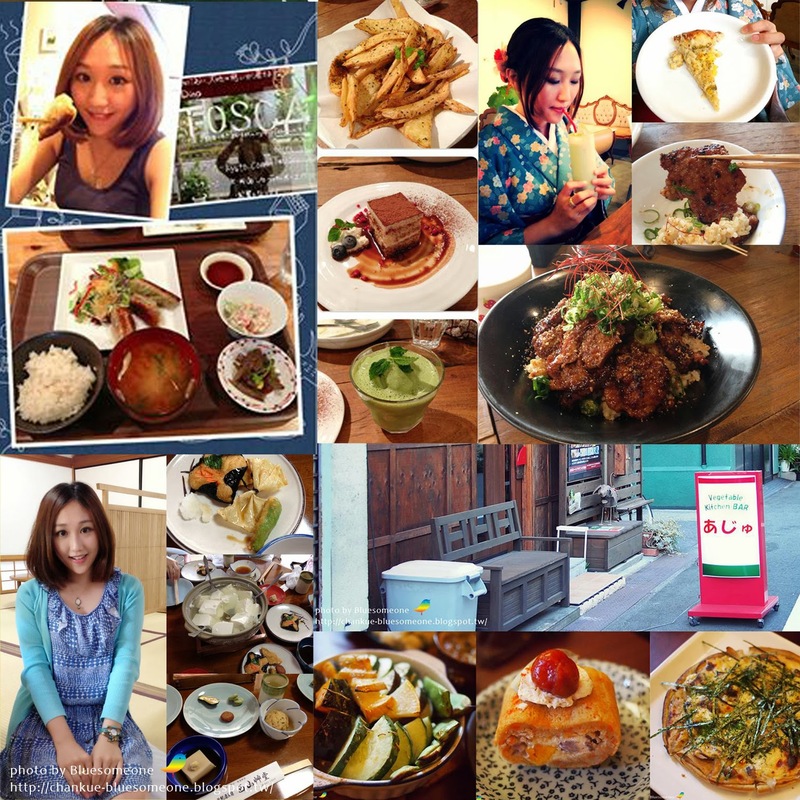 Wish myself in 2014 can have a lot of delicacies also! Finish!